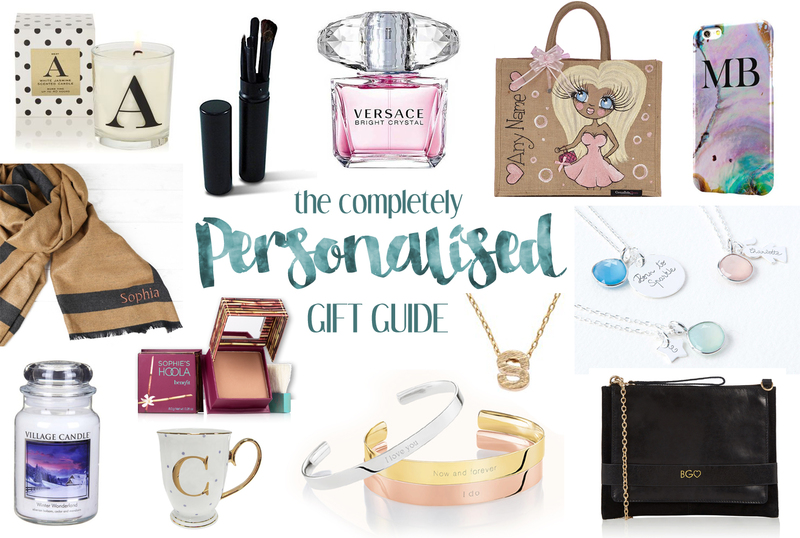 It's all about the personalised gift this Christmas! We're all familiar with sites like photobox & snapfish where you can add a photo to mugs, cushions & phone cases but today I wanted to highlight the ways you can elevate a personalised gift to a much more luxurious level. 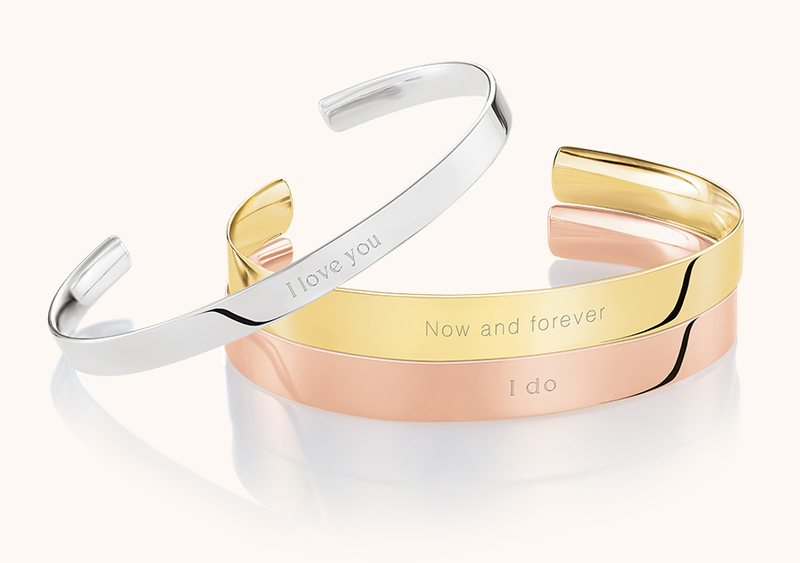 From having meaningful words engraved into jewellery to items with the recipients initials on which range from bags to candles to coffee cups. It makes a gift seem so much more thoughtful I think simply by adding that personal touch. This is a gift guide that will also work all year round as nothing is specifically Christmassy. Websites such as Prezzy Box, Temptation Gifts & Not On The High Street all have specific Personalised Gifts sections. I've tried to make sure that all the items featured are still available to order in time for Christmas but you need to be pretty quick as obviously personalising things takes a little longer than usual. Oasis Loves Letters Monogramming Service (see more details in my blog post here). 1. Monogram Black Clutch Bag by Oasis | 2. Monogram Green 3 Strap Bag by Oasis. For Christmas delivery last orders for these are today (December 20th) so get ordering sharpish! I have already featured these in my Secret Santa Gift Guide but they fir perfectly here! 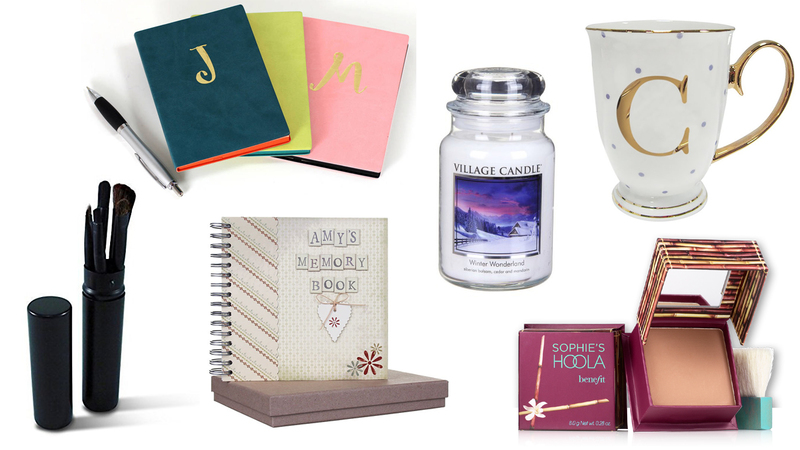 Next have got a fabulous Initial Collection out this Christmas allowing you to easily personalise your gifts. Prices starting at £4. 3. Versace Bright Crystal | 4. Marc Jacobs Decadence | 5. Viktor & Rolf Flower Bomb. 6. 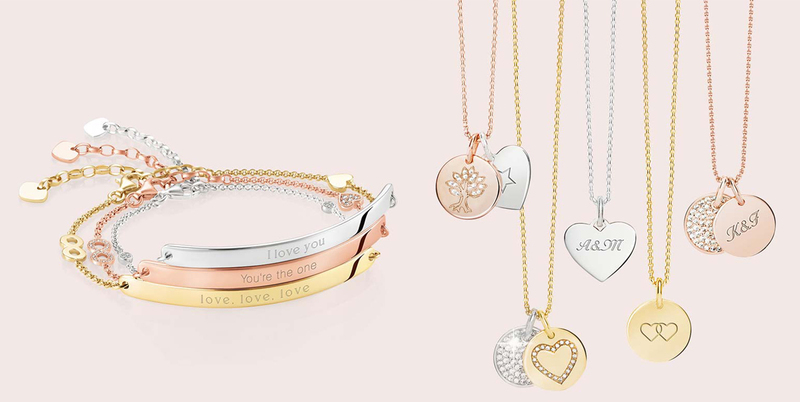 | Love Bridge Collection Engraved Jewellery by Thomas Sabo - the most beautiful jewellery and all engravings are FREE with purchase! (see more details in my blog post here). 7. Engraved Make Up Brush Holder with Brushes at Amazon | 8. Personalised Leather Notebooks by Posh Totty Designs at Not On The High Street | 9. East of India Persoalised Memory Book at Temptation Gifts (also a Travel Book version) | 10. Personalised Village Candle at Temptation Gifts | 11. Initial Mugs at Aspire Style | 12. Personalised Hoola Bronzer by Benefit Cosmetics. 13. 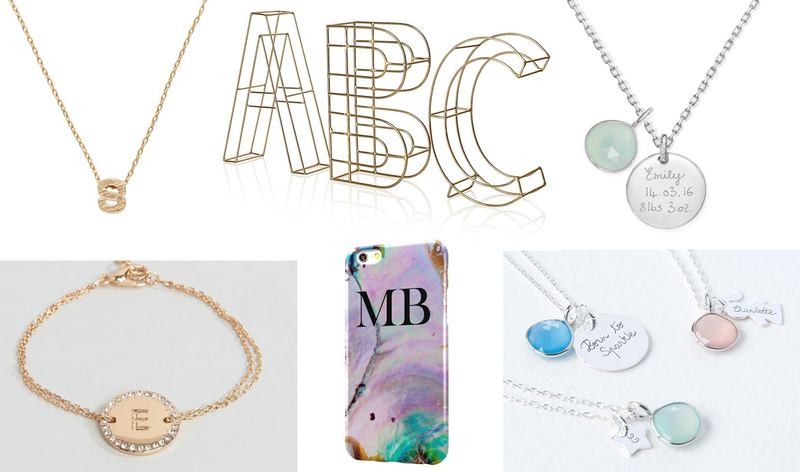 Etched Alphabet Necklace by Oliver Bonas | 14. Gold Letters by Oliver Bonas | 15. Personalised Gemstone Necklace by Mercimaman Boutique | 16. Initial Bracelet by River Island at ASOS | 17. Initial Phone Cases by Xander and Bow | 18. Personalised Gemstone Necklace by Mercimaman Boutique. Bags by Claireabella Designs I love these! All customisable to create your own caricature. I haven't got one myself yet but I'm really tempted to buy one, I'm particularly fond of the Mermaid. 19. Large Jute Bag | 20. Fairy Tale Jute Bag | 21. Pink Zebra Phone Case. 22. Monogramed Wrap Scarf at Not On The High Street | 23. Initial Ceramic Travel Mug at Not On The High Street | 24. Initial Charm Scarf Rings at Not On The High Street | 25. Personalised Couples Oak Photo Keepsake Box at Prezzy Box | 26. Personalised Teddy Bear at Prezzy Box | 27. Personalised Small Antique Trinke Box at Prezzy Box. Another good Prezzy Box find is this adorable Personalised Family Tree which I thought was a lovely gift for a family! 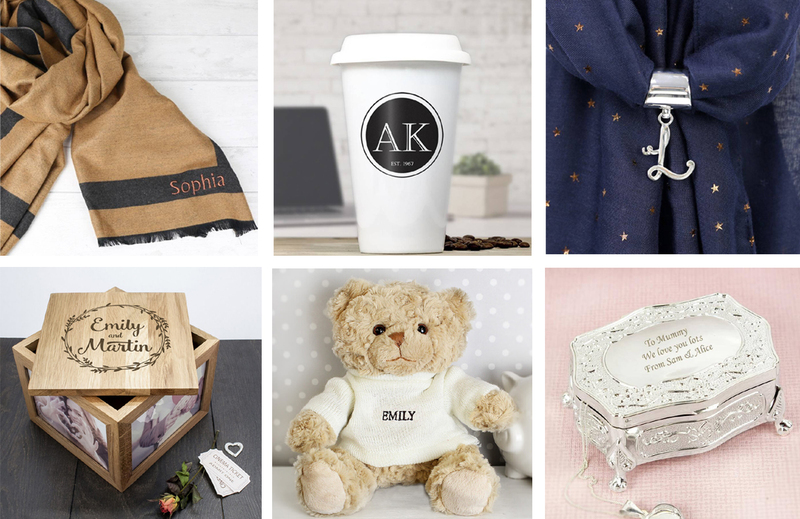 What would be your personalised gift of choice? View my other Christmas Gift Guides: The Ultimate Rose Gold Gift Guide | Secret Santa Gift Guide. This blog is helpful and informative with its content on wedding gifts; we also offer & share information on personalised gifts and other custom wedding gifts. It is appreciable the level of research you did.